Hi there ...I lost my game progress. 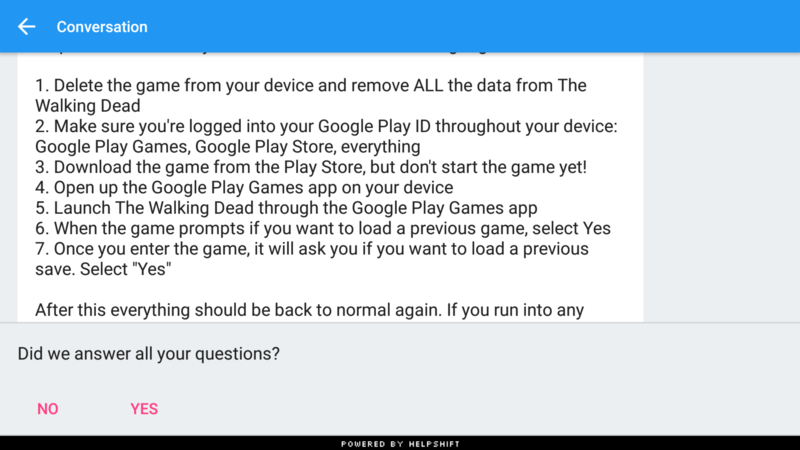 I have followed all the steps and submitted the information in the game help. No one is replying to my help request and I still don't have my game progress back??????? Any ideas how to get some help???? Support will get back to you as soon as they can! It has been 5 days and nothing. Yeah. I updated to ios10 on iPhone and GameCenter is gone now. The functionality is supposed to still be there. I had to delete the app from my phone. And now when I reinstall the game data is gone. I've done this many times in the past with no issue. I've been playing the game for months and lost everything. The sad thing is, I don't remember the ingame name or the level I was at, so I guess this means I will be sending this game to the circular file permanently if my game data can't be found. @SircMichaels , the GameCenter is there but it's under settings below podcasts. Here is what they told me and it worked. Note I had to create a new sign in name after installing.